Faith2Green’s community education program is focused on environmental responsibility and sustainable living. Our current effort raises awareness about energy efficiency and water conservation programs available in Los Angeles, while educating people on the obstacles that threaten the continued and reliable service of our water and power. We stress the community-wide solutions to these issues and believe individuals, community organizations, businesses, and non-profits play a critical role in their solution. For around a century, Los Angeles has been privileged with reliable supplies of water and power in our homes, businesses, and public spaces. We can flip light switches and turn on faucets without a second thought on the amount of work that goes into making that possible. However, the future of these expected commodities is being drastically changed by a number of significant and unprecedented challenges in the form of legislative mandates, aging infrastructure, and ever-growing demand (For a list of California’s mandates see here). Los Angeles faces state mandates that require immediate action to avoid severe penalties in the future. Additionally, the infrastructure that provides Los Angeles with water and power is aged and faltering much more rapidly than we are able to repair or replace it. With such circumstances, a variety of opportunities have also arisen for commercial and residential customers to affordably pursue efficiency in their daily use of resources. By taking advantage of the power efficiency and water conservation programs available to us, as utility users, we can address these challenges. The most central aspect in ensuring a bright future for our city is educating citizens in the present. Our specific goal is to inform local communities of the costs and maintenance requirements necessary to keep utilities running sustainably over the long-term and the opportunities available to customers that can lighten these requirements. As citizens and integral parts of Los Angeles, it is critical that we take special interest in securing proper resources and utility infrastructure for our city. Los Angeles’s aging power system is more than a century old and is handling electricity loads that it was never designed for. This over-loading has led to a maintenance backlog of 41,000 issues that would take nearly three million work hours to catch up on. The number of these incidences increases each year and if we don't address current issues, Los Angeles will face major power distribution problems in the near future. L.A.'s old water distribution system is also in dire need of accelerated repair and replacement. Water main breaks are shown in the media on a weekly basis. This year, the LADWP has replaced nearly 95,000ft of pipeline. Relatively, there are 38 million feet of pipeline in the system. At this rate, the entire system will be replaced once every four centuries, yet the pipes are only designed to last for one. An accelerated rate of infrastructural repair for both water and power is necessary to prevent a lapse in LADWP utility supply. Such repair efforts will not only reach problem areas within the city but also the thousands of miles of pipeline and transmission right of ways that relocate our resources from power plants and reservoirs outside L.A. and even the state. 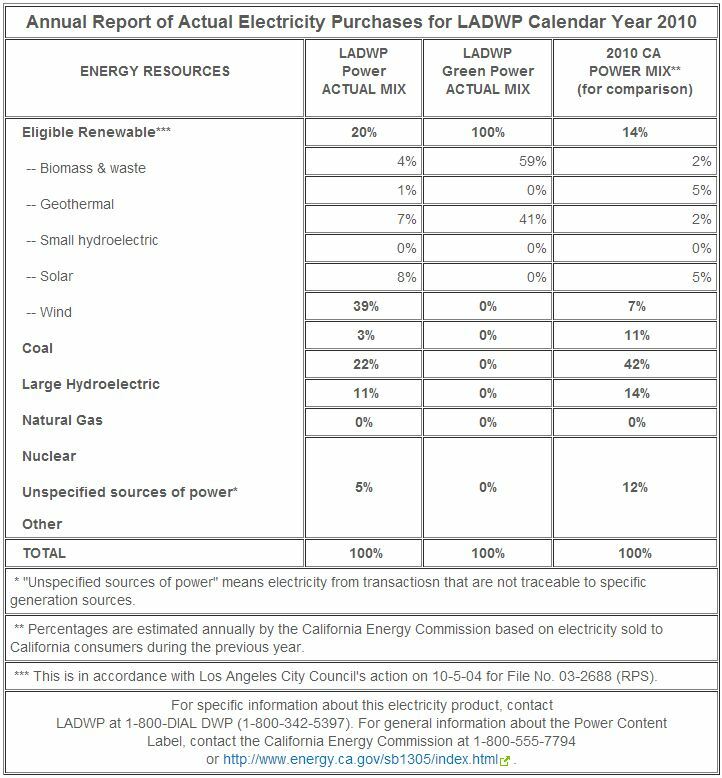 There are a number of legal mandates that require the LADWP to transform its energy supplies. 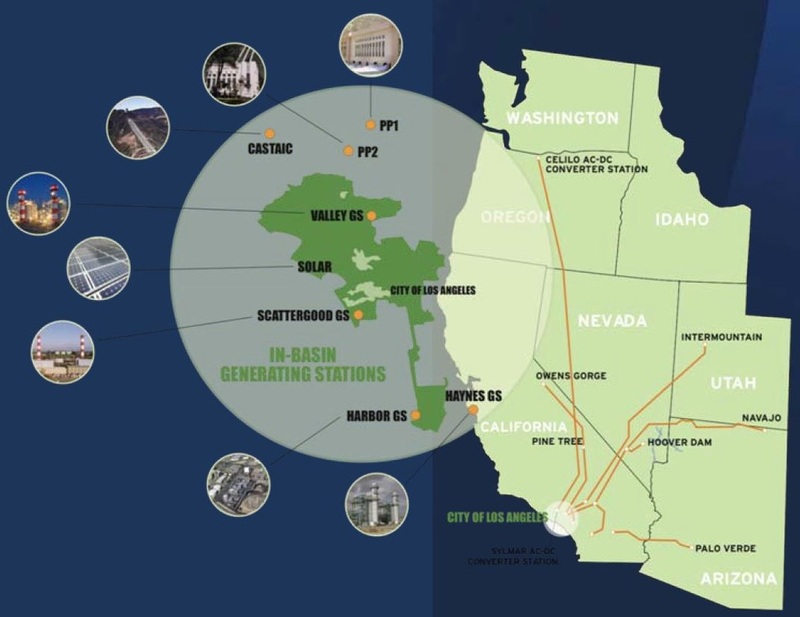 The first is the Renewable Portfolio Standard which requires that by 2020, 33% of the energy provided by California utilities is renewable energy. This is accomplished by expanding renewable energy investments. 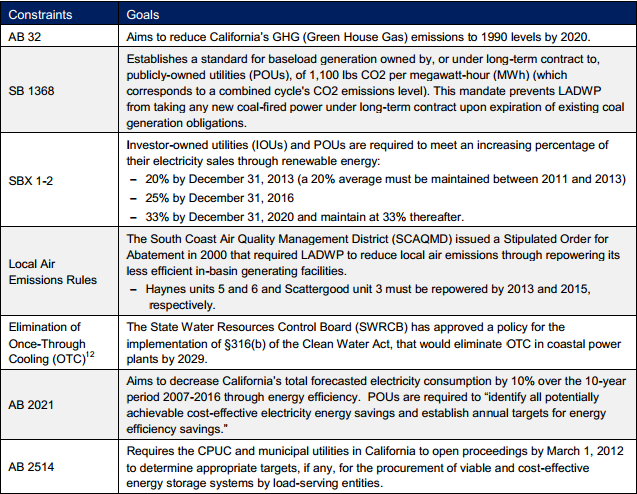 In a second mandate, the California State Water Control Board says that Once Thru Cooling at coastal power plants cannot be used. Via this legislation, nine units at coastal power plants that service the LADWP need to be replaced. Finally, utilities face a mandate stating that 10% of their energy savings must be from energy efficiency by the year 2020. Key investments that will help us reach this goal are in areas such as commercial customer lighting, major systems and building upgrade assistance, and home energy conservation programs to reduce energy use during peak demand. All of the aforementioned legal mandates are aimed at positioning Los Angeles for a more sustainable future, but the cost of these programs cannot be covered without increased revenue. Infrastructure improvement, adherence to state regulations and our rate payer advocate's objectives, public adoption of the energy efficiency and water conservation programs available, and a general adjustment to the rates that Angelenos pay for the water and power are the necessary first steps toward improving the sustainability of our utility programs. 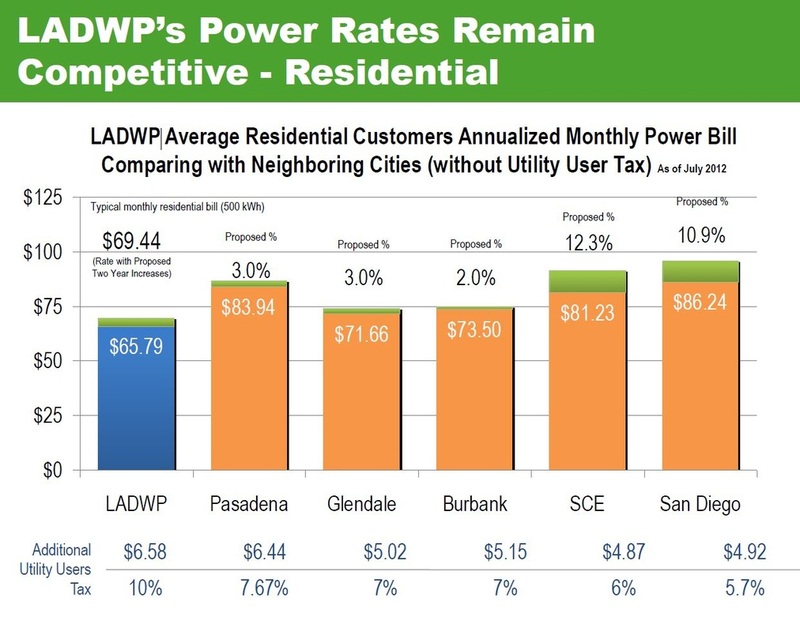 LADWP power and water rates have remained the lowest in the region, and even with the proposed rate adjustments, the rates will still be competitive as the lowest in the region. Los Angeles and Southern California in general have continued to face severe water shortages that are not adequately reflected in the price paid by utility users. 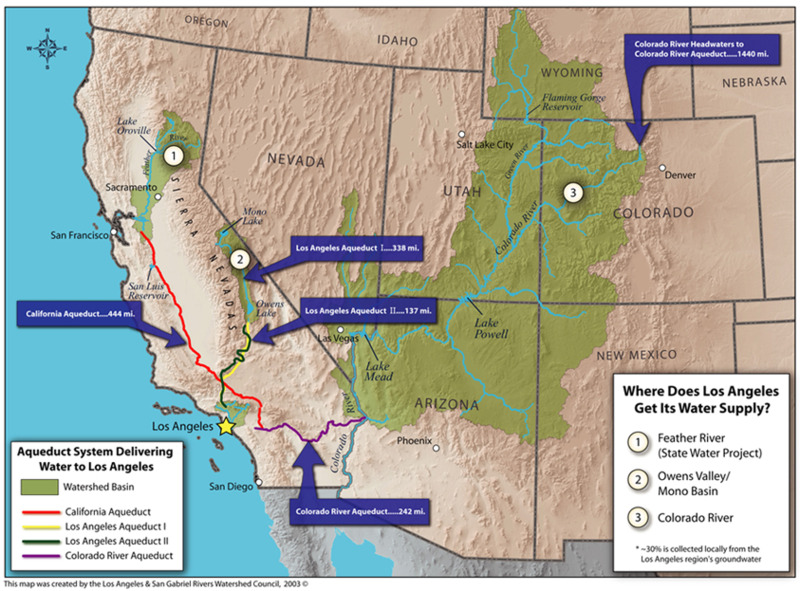 Our city has consistently piped in the majority of its needed water from the Owens Valley, the Colorado River, and the Metropolitan Water District. The LADWP has formulated a 25 year plan to improve the sustainability of our water resources by specifically drawing from more local sources moving into the future. Not only will such action work toward our sustainability goals, but it will also help draw down the cost of water, particularly for farmers in the central valley. Overall, these efforts are essential to ensuring clean, safe, and reliable service in the future. A large number of non-profit groups support our goals and objectives, and these groups realize the importance of improving the existing infrastructure and the beneficial role citizens can play by taking advantage of the available resource conservation programs. We view the education of our local communities as an essential step toward providing adequate support for sustainable utility programs. Finally, we strongly believe that embracing the necessary changes to our local utilities on a community level will help create an atmosphere pertinent to altering the unstable structure of our current programs.